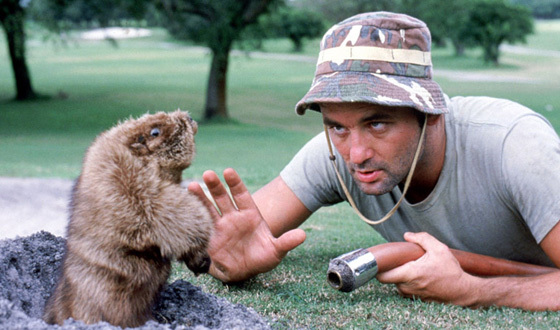 Do you think Bill Murray got his part in Groundhog Day because of his prior experience in Caddyshack? In our own home, we were nearly over run by a rage of groundhogs. I am not sure what you call a roving gang of 20 herbivorous groundhogs, so I made it up: a rage. Actually, there was only one groundhog, which we called Doug. But Doug did have his way with us. He trimmed all the heads off our tulips. One day I discovered that Doug had created a complex tunnel network in our backyard, headquartered under the cable TV/electrical/phone station. I had a vision of Doug one day holed up in his cave, controlling the cable feed, and playing Groundhog Day non-stop like a renegade radio DJ. We decided that Doug had to go. My neighbor suggested we flood him out with a garden hose. Or blow him out. He kindly offered two small sticks of dynamite. Instead, I rented a “Have-A-Heart” animal trap. It’s a humane wire cage with a spring door. No leg holds. No harm, no fowl, so to speak. I placed the trap outside one of Doug’s many doorways, and loaded it up with broccoli, carrots and cabbage. For two days we visited with no success. I added even more vegetables, including some turnips. That worked. Next morning, we had our perp. But it wasn’t Doug. It was an opossum. 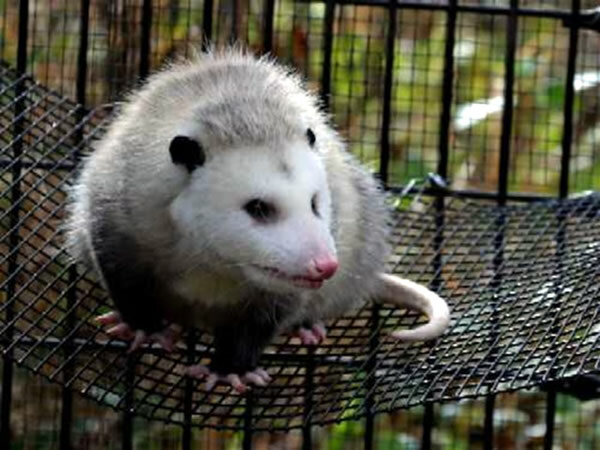 Opossums have a face only a mother could love. They have silver fur, a pink nose, beady eyes and oversized teeth that they like to bare with a gnarly, cheesy grin. Kind of like Bob Dylan, but without the hat. They have pink feet and toes and a pink tail. 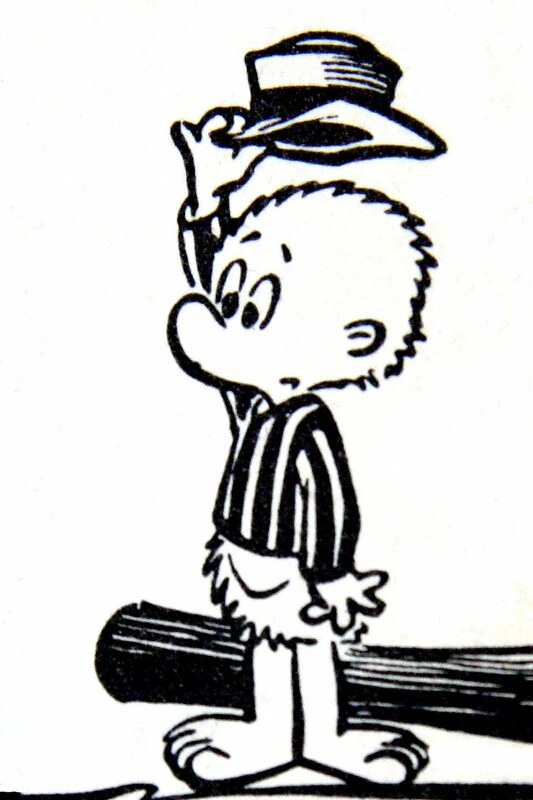 Nothing like the cuddly little cartoon character Pogo. More like God had a bunch of spare animal parts left over at the end of the week and decided to throw them together before closing up. But our work was just starting. My son and I decided to release him in the park. 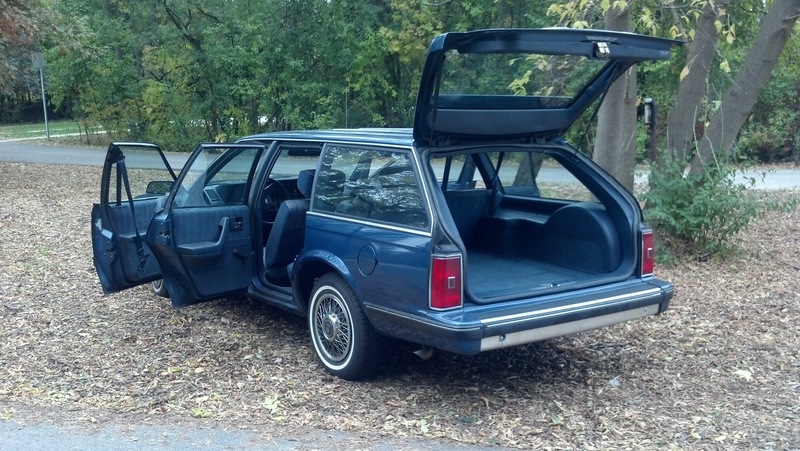 So, the steel cage was loaded into the back of our station wagon, and off we went across town to set the opossum free. I should have thought this through. After passing hundreds of livestock trucks on the highway, I should have recalled that animals generally react badly to caged transport. And I should have thought more clearly about the half bushel of raw vegetables fermenting inside our cargo’s stomach, too. As we slowly moved through afternoon rush hour, the opossum exploded. The inside of the car was ranker than a jar of gramma’s tomato preserves. We gasped for air, groaned and gagged as the opossum crawled to the far end of the cage. Was that an expression of embarrassment on his snout? Relief? Or pure animal satisfaction? And then, he died. Well we thought he had, but true to his instincts, he had rolled over on his side, and pretended to be dead so we would not eat him. Doubling down, the opossum then pulled his final defense: gas attack! !… showering the walls of our car with an odor so foul it would melt the paint off a Sherman tank. For the next mile, we crept along to the park, windows down, fan on high, and heads leaning out the windows like sorry bloodhounds. Finally, we pulled over in a wooded area, and opened the back, yanking the Have-A-Heart cage out. I opened the trap door, and, he wouldn’t come out, hanging from the wall like a furry super hero. I won’t detail the extrication, except that we had the car shampooed, inside and out. But another curious annoyance has cropped up. Every morning, our TV is on before we are out of bed. What channel? The Animal Planet. Thanks for reading! If you enjoyed this, feel free to follow! Phil—–I smiled at the picture even before reading the post. A bit of background trivia. I read a movie history with some detail on the making of Caddy Shack. Apparently, the movie that has become iconic Americana almost didn’t get made. One key member (I think a director) committed suicide which deeply disturbed the cast. Drug use on the set was common. Ted Knight (Judge Smails) was a serious actor who almost walked off the picture because of the irresponsible goings-on. Even at the release, no one had any clue that the movie would succeed, let alone become so ingrained in the culture. Goonga, goonga, da-goonga. Hi Grady! It was not my favorite movie, but I can appreciate its popularity. I am not surprised at the hijinx you mention. It’s possible that this movie “got little respect”. The old adage of “no good deed goes unpunished” applies. My sympathies on the smell — our dog was sprayed by a skunk this past Friday. Our house still smells. Hi Tom: I know the vengeance of an unhappy animal. At the age of 5, not knowing any better, attempted to release a skunk from a leg hold trap that we had set for a ground hog. I may write about that! You know what it’s like living in the woods! DYN-O-MITE!!! You blog just like you speak which is a good thing — I can hear you telling each story. Thanks Cap’n! Hope you like today’s!